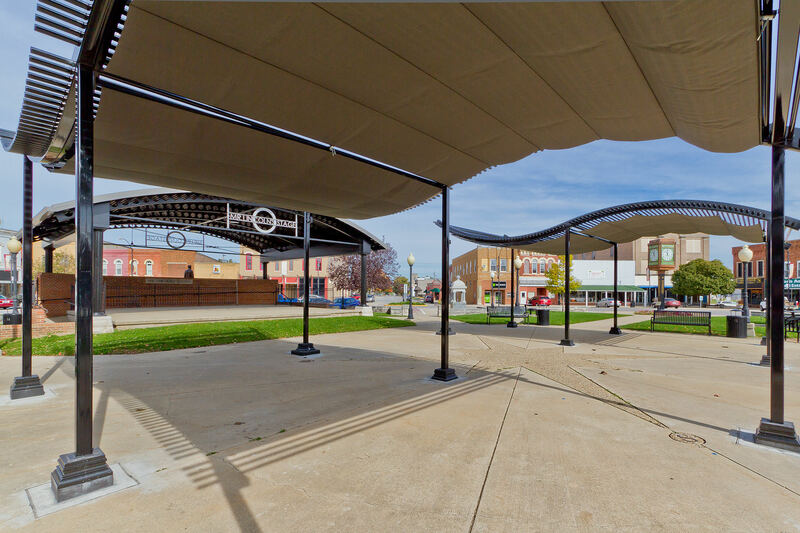 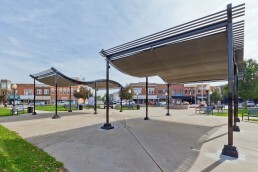 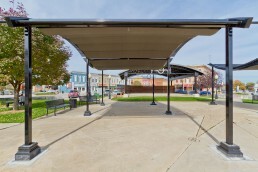 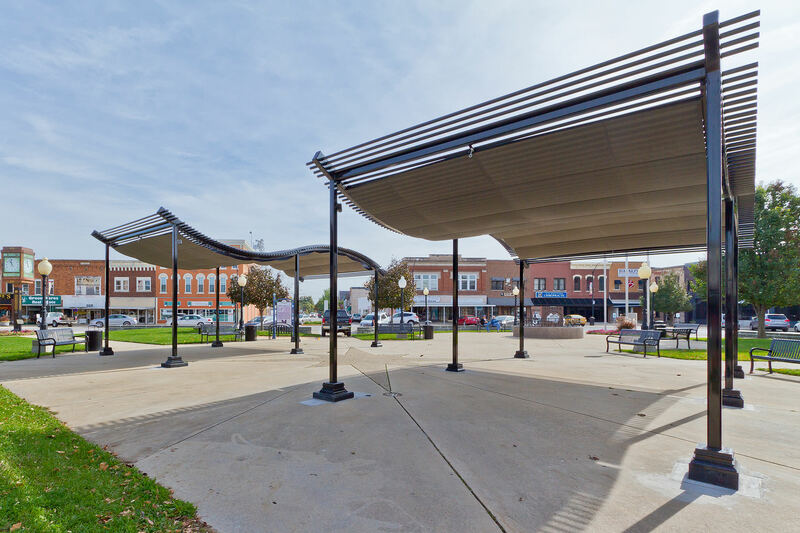 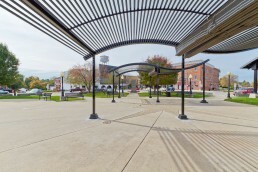 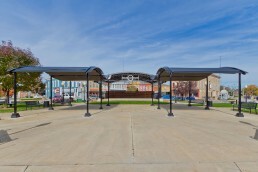 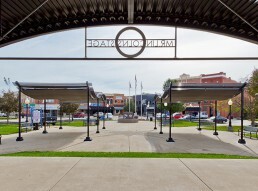 The city of Clinton, Illinois transformed their public square with these ‘cool’ multi-functional structures equipped with retractable sun protection. 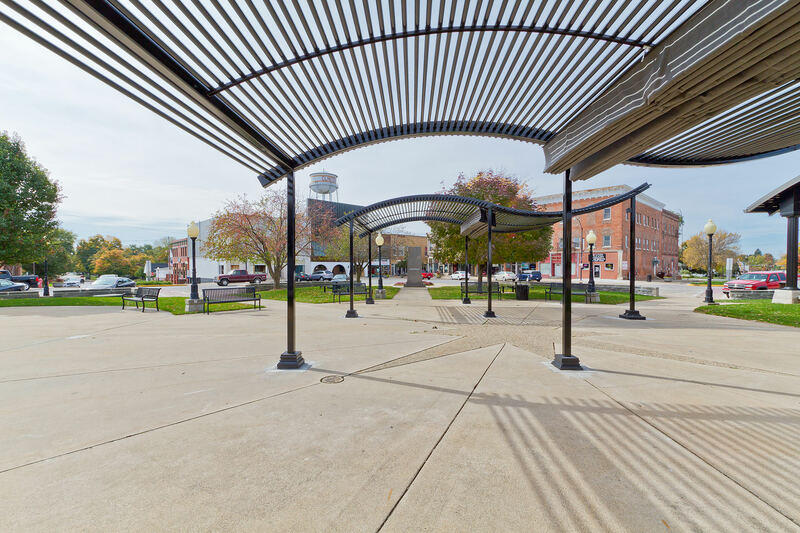 The City of Clinton challenged Farnsworth Group to transform Mr. Lincoln’s Square into a multi-functional public space for hosting festivals, vendor exhibits, and concerts. 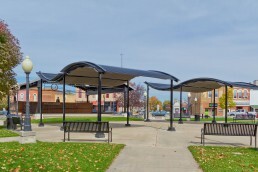 The project was further challenged with a request to cover two uniquely designed structures with retractable sun protection. ShadeFX was sourced by Farnsworth Group and TCT&A as they were the only solution provider that was capable and willing to re-engineer their product to satisfy the project requirements and mount to the challenging pergola design. 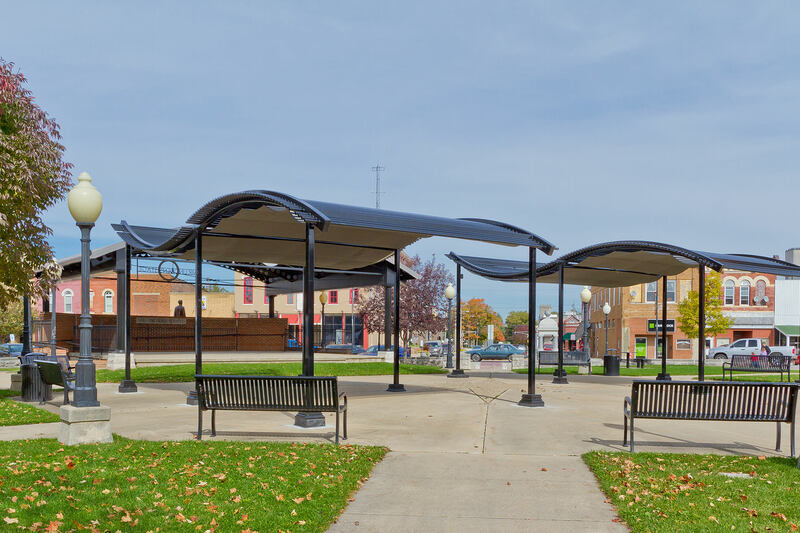 ShadeFX produced four manually operated canopies to cover the two curved structures. 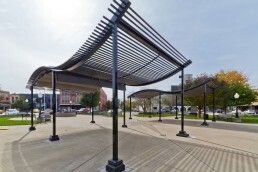 Each structure hosts two of the 16’X16’ canopies in an arrangement that has them meet in the center. 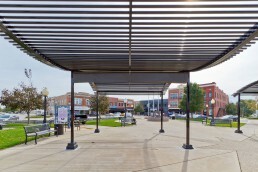 All four canopy drive beams, stabilizers and parts were specially engineered to fit this unique arched pergola structure. 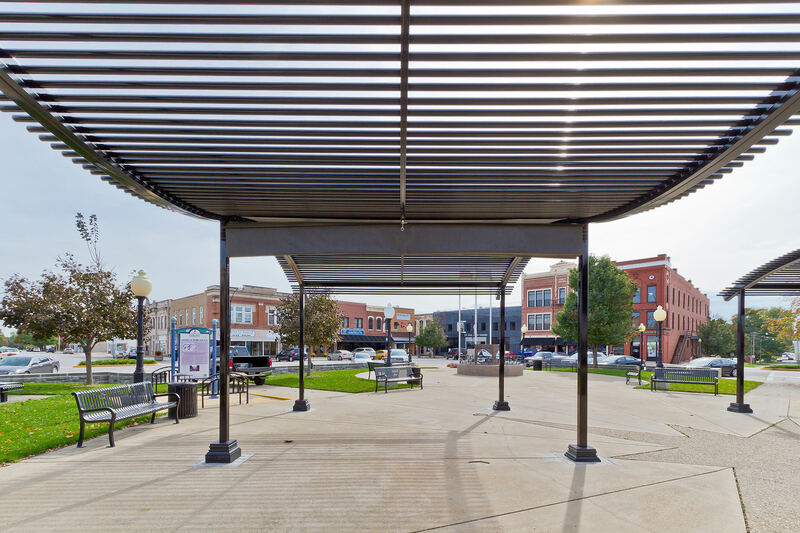 Farnsworth Group is a full-service engineering and architecture firm with 18 locations across the United States. 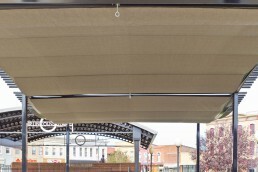 TCT&A is a leading company in the industrial fabrics industry. 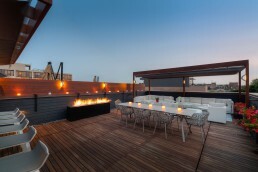 TCT&A has won more than 60 regional, national, and international awards for design and craftsmanship.